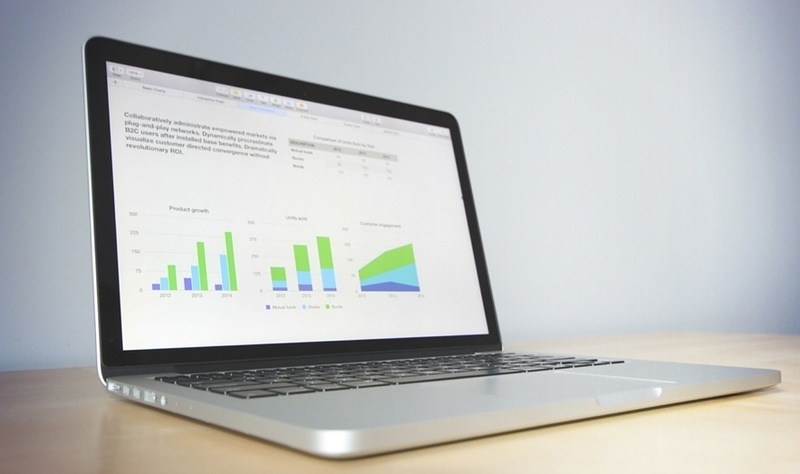 It might not be the holiday season yet, but 'tis the season for marketing benchmark reports. This week alone we've seen the release of two of the reports we have looked forward to at New Breed. The first, HubSpot's annual State of Inbound. The second, in its first year ever, the State of Pipeline Marketing published by Bizible. The State of Inbound report looks at data from more than 4,000 marketers in the B2B, B2C and nonprofit spaces, while the State of Pipeline Marketing report sampled more than 350 marketers in the B2B technology space, where we at New Breed do most of our work. In examining both these reports, I want to share with you five remarkable stats that stuck out to us and illustrate one of the biggest challenges marketers face today: showing the ROI of their efforts. I'll also discuss what the most successful teams are doing to prove ROI, increase their budgets and drive revenue. This figure from HubSpot shows this challenge as most acute in midmarket and enterprise companies with more than 200 employees. It is slightly less important overall to smaller companies, though almost half of marketers working in companies with fewer than 25 employees list this as their biggest challenge. 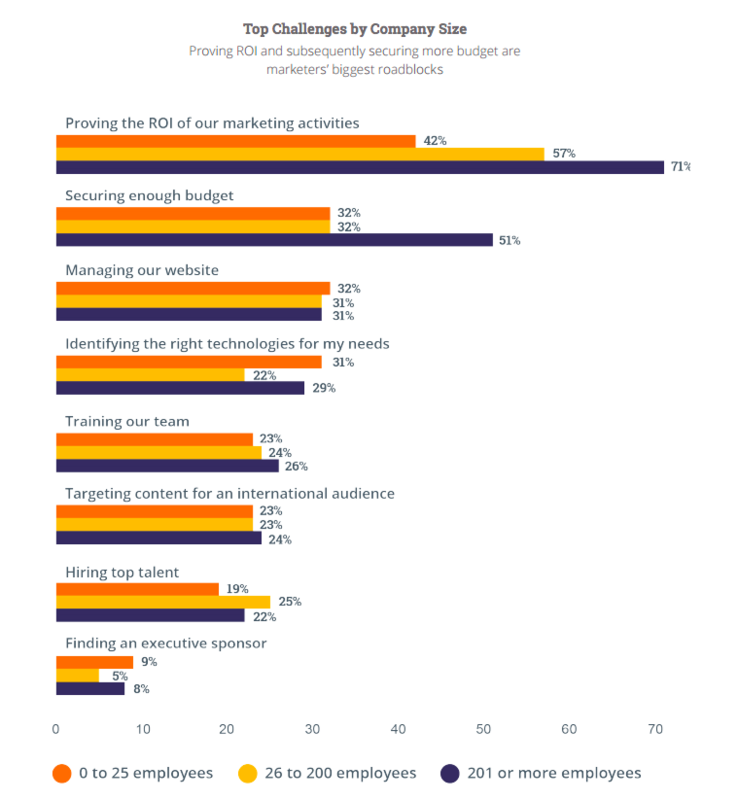 Next to team alignment and goals, defining an attribution model is one of the most important steps that marketers can take to measure and report on the ROI of their efforts, yet the State of Pipeline Marketing report shows that 25 percet of marketers aren't using an attribution model. 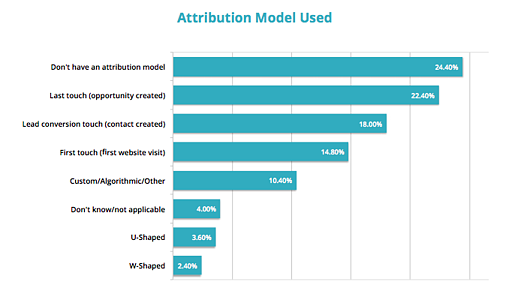 Beyond the 25 percent of marketers who report not having an attribution model in place, those that do are using a single-touch model. 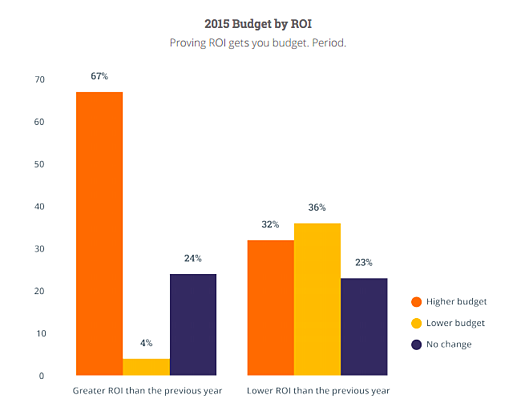 The trend from HubSpot's research is clear. No ROI, no budget. Unfortunately for marketers struggling with this challenge, it appears that the consequences of not being able to show ROI are increasing. So what does it take for marketing to be ROI-positive? There are a few key correlations we see between these two studies that show how leading marketers are combining inbound and pipeline marketing methodologies to drive success. One of the most important factors for B2B marketers to position themselves for success is alignment with the sales team. This concerns a personal working level as well as quantitative elements such as a service-level agreement and defined lead-handoff process. 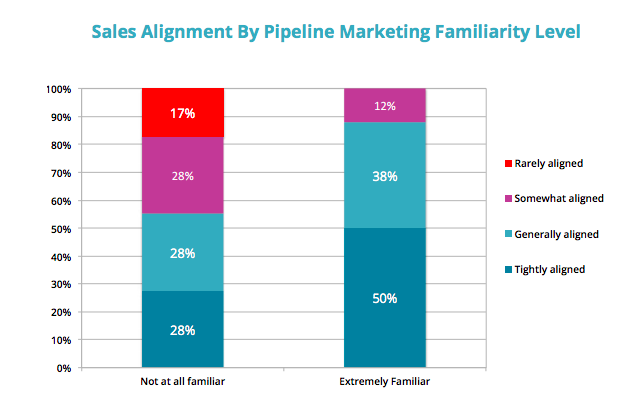 The results from Bizible's work show that marketers who are looking at the whole funnel and are leveraging the pipeline-marketing methodology are much more aligned with the sales organization than marketers who are not. 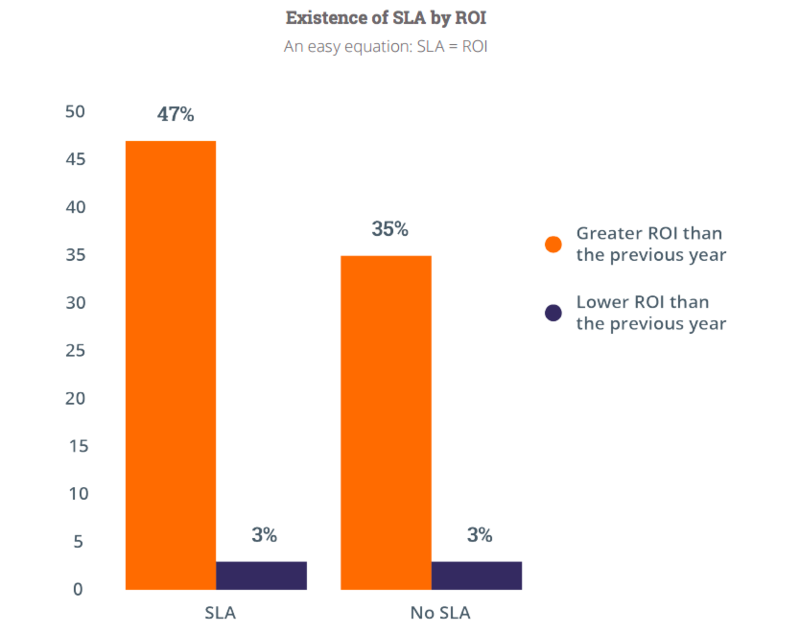 Not only does pipeline marketing correlate with a stronger relationship between teams, but HubSpot's data also shows that organizations that have an SLA in place were more likely to see higher ROI on marketing spends, receive increased budgets and expand their sales teams. These findings are only the tip of the iceberg. I strongly encourage you to check out both these reports to dive into not only the importance for marketers to demonstrate their ROI, but also the tactics, channels and key metrics they are using to drive these results. Here are the links to both the State of Inbound report and the State of Pipeline Marketing report.